Katara Hospitality, the global hotel developer, owner and operator based in Qatar, received three prestigious awards at the World Travel Awards in Morocco. The developer took home the ‘World’s Leading Hospitality Company’ for the third year running, ‘World’s Leading Hotel Suite’ for the Katara Suite at Excelsior Hotel Gallia, a Luxury Collection Hotel, Milan one of Katara Hospitality’s flagship properties in Italy and the coveted ‘World’s Leading Landmark Hotel’ for The Peninsula Paris. 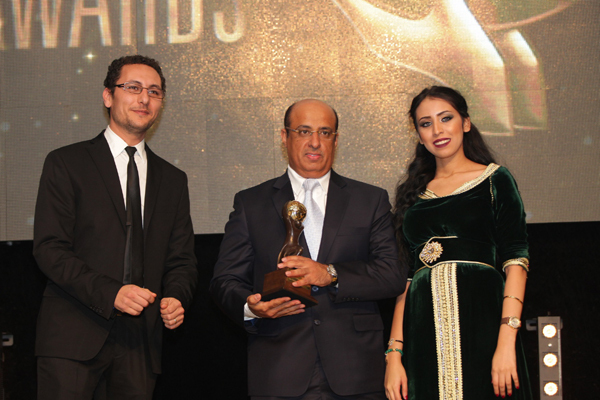 The World Travel Awards, deemed one of the most prestigious accolades in the hospitality industry, was held at an illustrious grand finale gala at the Mazagan Beach & Golf Resort in El Jadida, Morocco. Accepting the awards on behalf of Katara Hospitality was Salem Al Kubaisi, chief corporate services officer of the company. Building on recognition for global excellence and luxury guest experiences, Katara Suite at Excelsior Hotel Gallia, a Luxury Collection Hotel, Milan was named World’s Leading Hotel Suite. As one of Italy’s largest suites at an astounding 1,000-sq-m, Katara Suite is a symbol of epicurean excellence renowned for its opulent features that epitomise the essence of Milan’s culture and sophistication. Nestled in a destination that perfectly blends fashion, design and Italian cuisine, Excelsior Hotel Gallia, a Luxury Collection Hotel, Milan which houses the Katara Suite, opened its doors on December 1, 2014 after undergoing a meticulous renovation and astonishing redesign. The hotel’s architectural design was inspired by the “Belle Époque” era, a historical period that exhibited heightened levels of comfort and a charming existence. The majestic award-winning hospitality jewel is well recognized as an iconic hotel in line with Katara Hospitality’s legacy of developing a portfolio of peerless properties in key destinations of the world.